Linda’s request tapped into a deep-rooted insecurity. As a child, I wondered who would ever be interested in anything I had to say. Pundits seemed to know so much and have so much confidence. I never thought I could ever be in such a league. I became a scientist in part because science gave me authority. After all, I wasn't talking about my ideas. There was empirical evidence for scientific knowledge. I discovered that once I understood a scientific concept, I had a gift for explaining it so that others got it. By writing a lot of different things early in my career (because they paid well enough) I found my voice and discovered that writing is a craft that changes one. I was a different person after I had written a book than I was beforehand. The process of writing, of thinking through something to share with others, changes the writer. I discovered that, no matter what the subject or how many others had written about it, my take was always somewhat different and furthered the conversation. It was enough to build confidence. Blogging for I.N.K. opened up something in me. I loved the writing, the community, the comments, and ultimately, the conversation. I became concerned with education and began blogging for Education Update, the online version of a print newspaper here in NYC. I started out there by writing once a week, but they couldn’t publish as fast as I wrote. I have been transformed from a girl who was afraid to share her ideas to a woman of a certain age who can’t shut up. It seems that my well is not likely to dry up any time soon. 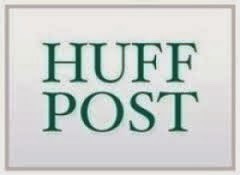 In September, I became a regular blogger for the Huffington Post. This meant getting approved by a gate-keeping editor who set up my account. Every post is screened by editors before publishing. (So far, all but one of mine have been published.) Huff Post has hundreds, maybe thousands of bloggers. My plan is to publish twice a week, at least in the beginning to establish a following. I am writing carefully, so that it doesn’t look like I’m selling anything (they frown on that at HP) but I do have an agenda. I want to promote our genre to an audience that, for the most part, doesn’t think about us and the contribution we make to the education of children (and adults, if they’re interested in learning something new). This means I can talk about just about everything. So please support me so I can support you. 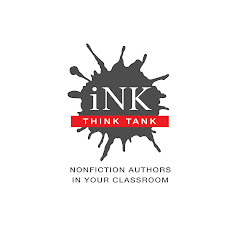 Send me ideas for issues you want discussed (email@vickicobb.com),teachers, please speak to me, nf books that need attention (especially I.N.K.ers), follow me (click on the rss or google+ feed to get my columns regularly), share, tweet, comment. It’s helpful if you can tie your thoughts (or your book) to a news peg. Here's what I wrote for Tanya Lee Stone, David Schwartz, and Jan Greenberg. It might lead someplace. And if it doesn't, we’ll all learn something. For the record, blogging doesn't pay, at least not directly with money. Who was The Mad Potter of Biloxi?